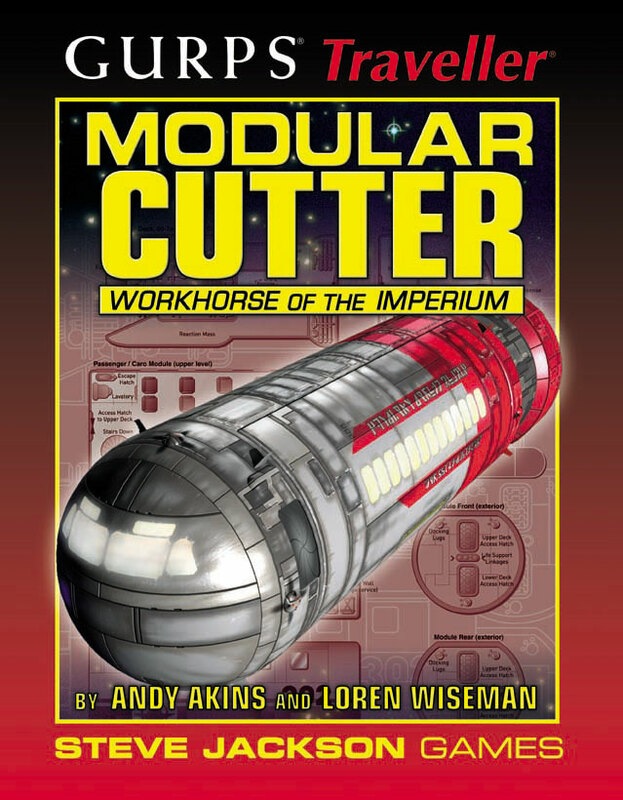 With its legendary utility and flexibility, the 50-ton modular cutter has spread across the Imperium. Its interchangeable payloads can turn cargo hauler into battle craft or research vessel in the time it takes to unlock one module and load the next. The inner workings of modular shipping . . . including the unpleasant consequences of haphazard module-handling. A wide variety of alternate module-carrying ships, from the small Hiver version of the cutter to huge container starships. Scores of alternate modules to make the modular cutter fit any mission profile. Information on designing custom modular vessels using the starship-construction rules in GURPS Traveller. In a universe of mystery, it's impossible to know what tools you'll need to face tomorrow's challenges. 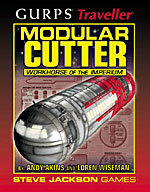 Prepare yourself for all contingencies with GURPS Traveller: Modular Cutter! GURPS Traveller Deck Plan 2: Modular Cutter – 8 two-sided maps: the 50-ton modular cutter itself and seven different modules. The set also includes a sheet of Traveller Cardboard Heroes miniatures.